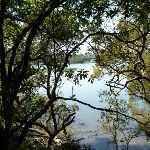 This walk gives you the chance to explore the bush and wetlands alongside the Lane Cove River, from Boronia Park to the new underground train station at North Ryde. 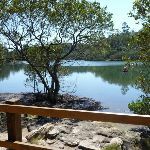 You will visit several mangrove wetlands, some dry eucalypt forests and have the opportunity to rest and fill up your water bottle at a few well maintained parks. 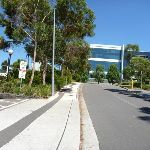 This walk follows the GNW most of the way, until soon after passing under Epping Road where you take a detour up through the Riverside Corporate Park to Delhi Rd and the train station. 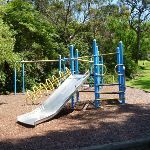 Boronia Park is found at the intersection of Ryde Rd and Boronia Ave. The park is centered around a couple of large playing fields and a grand stand. Here you will find public toilets, tap water, electric BBQs and a children’s playground. There is also shade from the trees and rain shelter to provide some relief on the hot or wet days. 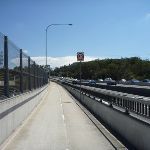 From the intersection of ‘Boronia Ave’ and ‘Ryde Rd’ (beside ‘Boronia Park’  ), this walk follows ‘Boronia Ave’ downhill for just over 250m to come to the end of the road. 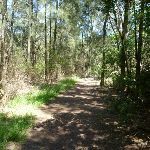 Continue straight: From the end of Boronia Avenue, this walk follows the GNW arrow post up along the rocky track. 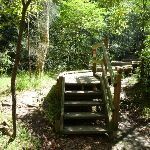 The track leads over a small rise then bends right (ignoring the track to your left), to head down a few stone steps, then a series of timber steps. 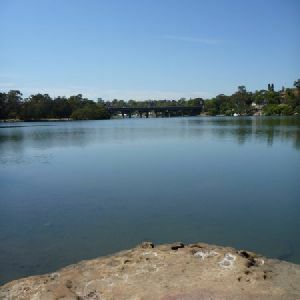 The track then continues along the bank of the Lane Cove River (to your right) for about 100m to come to a T-intersection with Princes St. 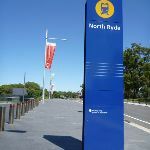 Here the walk turns left and heads up the road (away from the water view) for about 50m, coming to an intersection with another track and a large green ‘The Great North Walk’ signpost (on your right). Turn right: From the intersection, this walk follows the ‘Buffalo Ck. Park’ arrow down along track. Veering right after about 50m, this wide track then leads through the casuarina forest for a short time, coming to an intersection and a small clearing with a picnic table, the informally named Brickmakers Creek picnic area. 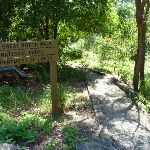 Turn right: From the picnic area, this walk follows the GNW arrow post across the rocky Brickmakers Creek and up the steps. 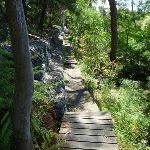 The walk continues along the short timber boardwalk, then leads up the timber steps for about 100m where the track flattens out, veering right at another GNW arrow post. Here the track leads down between the rocks, with a filtered view to the water, and a short distance later, the track veers right again at another GNW arrow post, heading gently down between some more rocks. 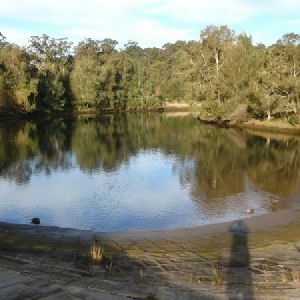 For another 150m , the mostly flat track leads over some rock platforms then along a short section of timber boarding to come to a three-way intersection marked with a GNW arrow, and a larger unfenced rock platform (to the right). Veer right: From the intersection, this walk heads along the rock platform, keeping the river down to your right. 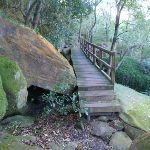 The walk soon heads down some steps carved in the rock, then follows the rocky and sandy track gently downhill, passing some interesting rock formations over about 140m then climbing over some rocks with a metal handrail. The track leads up a series of steps for about 200m, then goes up some carved steps (also with a handrail). 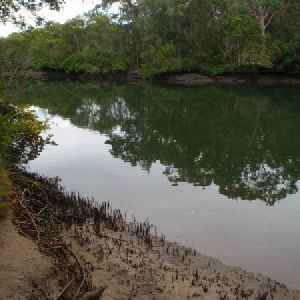 From here, the rocky track heads down the steps then leads alongside the mangroves for just shy of 100m, coming to a T-intersection marked with a GNW arrow. 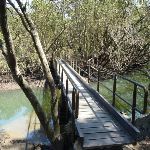 Turn right: From the intersection, this walk steps down off the main track and leads along the raised mound through the tunnel of mangroves. This track is covered by water at higher tides, but at lower tides it leads to the edge of the open Lane Cover River. At the end of this side trip, retrace your steps back to the main walk then Continue straight. Turn left: From the intersection, this walk follows the GNW arrow up the steps. The track bends right and comes to an intersection with the signposted ‘Access to Barons Cres’ track on your left, just below the large concrete building. Continue straight: From the intersection, this walk follows the GNW arrow post along the clear track, leading gently uphill (initially keeping the concrete building and Barton Cres track on your left). 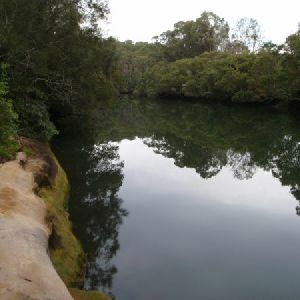 The fairly flat, rocky track leads through the forest, keeping the Lane Cove River not far to your right. 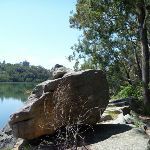 After about 300m, the track leads up some steps to a boulder outcrop with good views over the river. The track continues for another 100m to a small clearing and a timber viewing platform (on your right). 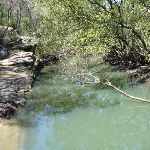 Turn left: From the timber platform, this walk heads directly away from the Lane Cove River and follows the track up the valley, keeping the Buffalo Creek mangroves to your right. 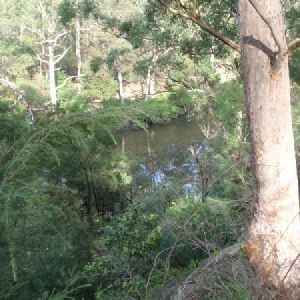 The track soon leads under a fallen tree and meanders along the flat for about 120m, then follows a short section of timber boardwalk. 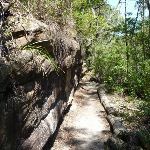 The track then leads up some steps to pass under a small sandstone overhang, then continues along the base of a sandstone wall, from where the track leads over another shorter section of timber boardwalk. 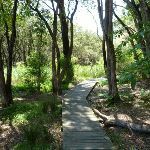 The track then comes to another section of boardwalk which leads through the wetlands, over a small creek and past the information sign about the ‘Friends of Buffalo Creek’. 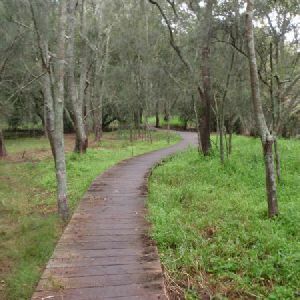 The boardwalk then leads past some paperbark trees and turns right onto the dirt track. The walk follows this track for about 50m before heading up the timber ramp and steps to Pains Rd. 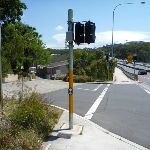 Turn right: From the intersection, this walk follows GNW arrow up along Pains Rd for about 20m to the intersection with a wide track, marked with another GNW arrow post, just where the road bends left. Continue straight: From the bend in Pains Rd (near house number 4), this walk follows GNW arrow along the wide track, whilst keeping a few houses up to your left. 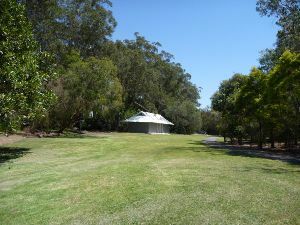 After about 120m, the track leads up a grassy hill to find a large open parkland, Buffalo Creek Reserve. 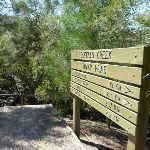 Here, the walk turns right and follows the ‘Great North Walk’ sign across the grass, passing a picnic table and fireplace, and coming to the large ‘Buffalo Creek Track Head’ signpost (on your right). 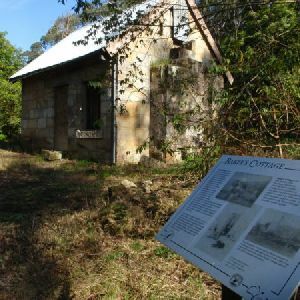 The Buffalo Creek Reserve is found off the side of Pittwater Rd, just south of Buffalo Creek. 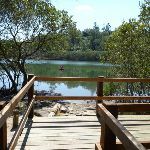 The reserve is home to a large wetland, car park, large children’s playground , picnic shelters , BBQ’s , toilets  and town water on tap . The children’s play area, on the western side of the reserve, is very popular. There is a large playing field and a second smaller picnic area on the eastern side (where the Buffalo Creek boardwalk starts ). 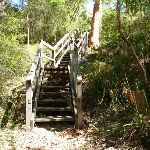 Turn right: From the ‘Buffalo Creek Track Head’, this walk follows the ‘Newcastle’ sign down three sets of timber stairs. 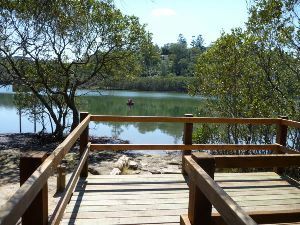 Here the walk follows the timber boardwalk as it winds through the mangroves to a hand-railed viewing area, just before a bridge. 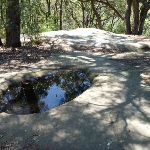 From here, the walk crosses Buffalo Creek on the bridge then climbs up the stone steps to veer left at a faint intersection (at the top of the steep climb), marked with a GNW arrow post. 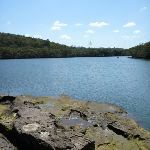 The rocky track leads more gently up past the ‘Lane Cove River National Park – Sugarloaf Point’ sign to a signposted T-intersection, where another GNW arrow points back down the track. 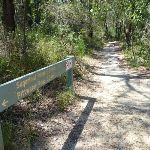 Turn right: From the intersection, this walk follows the ‘Sugarloaf Point’ sign along the flat rocky and sandy track, keeping the valley to your right. 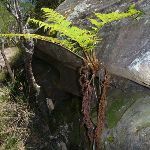 The track generally bends left around the side of the hill, passing a few interesting rock platforms along the way. Soon after heading down some stone steps, this track comes to a signposted T-intersection with a wide sandy trail. There is a ‘Buffalo Ck Reserve’ sign pointing back up the steps. 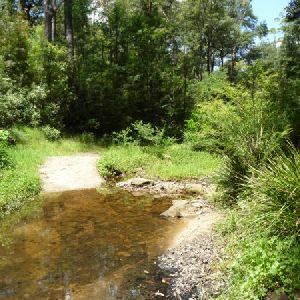 Turn left: From the intersection, this walk follows the ‘Pittwater Road 0.25km’ sign up along the wide management trail, which soon becomes sealed. 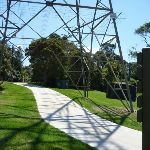 The trail winds up beside a large, fenced, high-tension power line concrete tower. 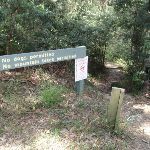 The trail soon leads around a locked gate and comes to an intersection just before Pittwater Rd, with a ‘Great North Walk’ track sign (on the right). 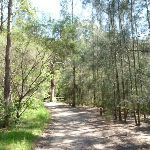 Turn right: From the intersection, this walk follows the ‘Great North Walk’ sign past the picnic table and down the timber steps, whilst keeping Pittwater Rd through the trees to your left. The track soon passes a ‘Lane Cove National Park’ sign then heads down some timber stairs. 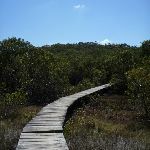 The track continues just below the road (on your left) and beside the mangroves (on your right) for a little over 400m, crossing several timber platforms and going up and down a few steps to come to a ‘Coastal Wetlands’ information sign. 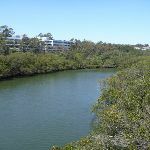 Having moved away from the road, the track now heads along a timber boardwalk that winds through the mangroves and wetlands to cross Kitty Creek on a bridge. Just on the other side of the bridge, this walk comes to a T-intersection with a sign pointing back to ‘Sugarloaf Point’. 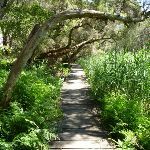 Turn right: From the intersection, this walk follows the GNW arrow along the wide track, initially keeping Kittys Creek to your right. 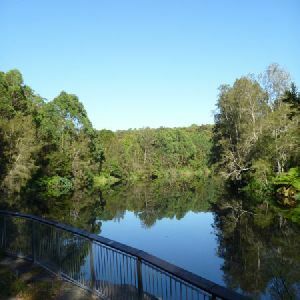 The track almost immediately bends left (ignoring the side track on the left) and follows the bank of the Lane Cove River (on your right) through the casuarina forest for just shy of 200m. 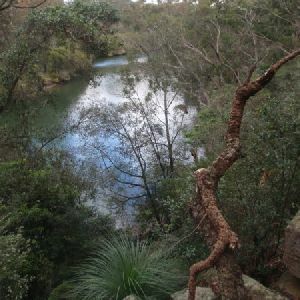 Here, the track starts edging away from the river and enters more dense vegetation for just over 200m, before the track opens up and comes to a ‘Lane Cove National Park – Sugarloaf Point’ sign. 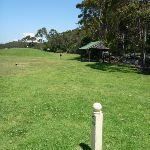 From the sign, the walk leads up along the grass, keeping the playing fields to your right and coming to a GNW arrow post in front of the toilet block beside Magdala Park car park. 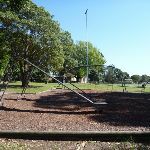 Magdala Park, found at the end of Magdala Rd, North Ryde, is home to a large playing field with a baseball diamond in the corner and a smaller playing field to the north. 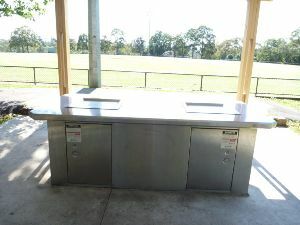 There is a car park , public toilets, sheltered picnic tables , childrens playground, garbage bins, and town water on tap. There are a few Great North Walk signs highlighting the direction of the walk as it winds across the open grassy area. 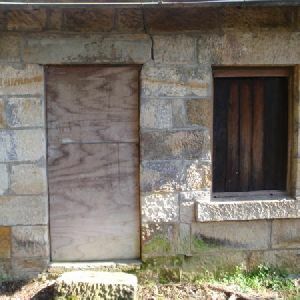 Turn right: From the front of the toilet block, this walk follows the GNW arrow across the car park. 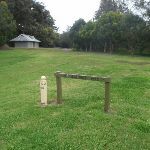 The walk then heads through the gap in the fence and turns left, heading over the grass to the intersection with a concrete footpath at the base of the large transmissions tower, where a sign points back to ‘Sydney Cove’. Turn right: From the transmissions tower, this walk follows the ‘Newcastle’ sign downhill along the concrete footpath away from Magdala Park. The path soon turns right and leads over the ‘Clifford Love’ footbridge. 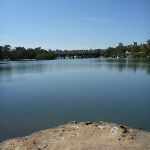 The 150m-long bridge leads over Lane Cove River and then over the ‘National Starch’ factory, to find a footpath on the other side. The footpath leads around the edge of the fenced car park and comes to the footpath beside Epping Rd, just beside the traffic lights at Mowbray Rd. 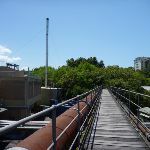 Continue straight: From the traffic lights, this walk heads downhill towards the bridge, crossing the factory driveway. 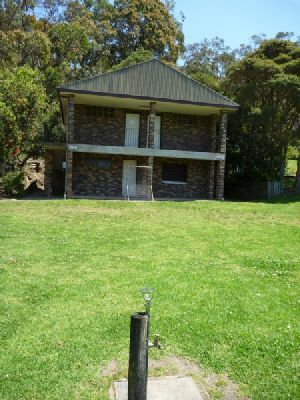 Just over 100m past the driveway, the shared footpath leads to an intersection marked with a GNW arrow post, and a set of steps (on the left). Continue straight: From the intersection, this walk follows the GNW arrow post down across the main bridge span, keeping the traffic to your right. After almost 100m, this walk comes to the other side of the bridge, where there is an intersection with another set of stairs (on your left) and another GNW arrow. Turn left: From the intersection, this walk follows the GNW arrow post down the stairs and towards the water. 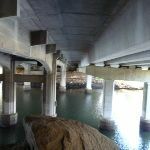 At the bottom of the stairs, the walk turns left and follows the footpath under the bridge then up a few steps to a signposted intersection, just on the other side of the bridge. 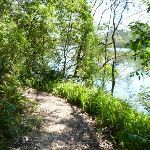 Veer right: From the intersection, this walk follows the ‘Lane Cove National Park – Fairyland Track’ sign down along the dirt track, keeping the filtered view of Lane Cove River to your right. The track soon leads down some timber steps, past a short rock wall and across two short flat timber bridges. The walk continues up some steps and across a timber bridge with a hand rail. 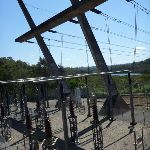 The rocky track then leads downhill for about 100m before going gently uphill past the high tension transmission tower, to then come to a signposted intersection, just after passing under the power lines. 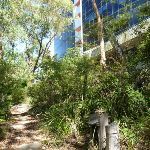 Turn around: From the intersection, this walk heads away from the face of the NPWS ‘No dogs permitted’ sign under the power lines, immediately veering right to head up towards the large corporate building. After about 10m, this walk comes to an intersection at the bottom of some timber stairs (on your right), marked with a ‘What can you see?’ information sign. 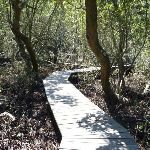 Veer right: From the intersection, this walk heads up the timber staircase to then follow the ‘0.8km scenic trail’ arrow post gently uphill. 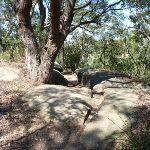 From this sign, the track leads up over a series of rocks and up a few rock steps (ignoring a track on your right) for about 40m to pass an ‘Aboriginal uses for plants’ information sign. Here the walk continues up the stone steps to then follow alongside a wire fence for just shy of 100m (behind the ‘Honeywell’ building). The walk then follows one of a few tracks that continues straight to come to a T-intersection with a sealed road, just at the far corner of the ‘Honeywell’ building. 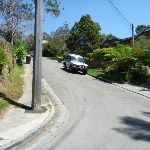 Veer right: From the intersection, this walk crosses the road and follows the footpath uphill alongside the sealed road. After about 150m, this walk turns left onto Richardson Pl to follow the footpath uphill for about 70m and then come to another footpath after crossing the T-intersection with Julius Ave. Turn right: From the intersection, this walk heads north following the footpath beside Julius Ave gently uphill. After just shy of 100m, this walk leaves the ‘Riverside Corporate Park east Entrance’ and turns left at Delhi Rd. 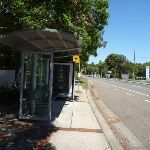 The walk now follows the footpath (past a bus stop and post box) for 270m to come to the traffic lights at the intersection of Delhi Rd & (the other end of) Julius Ave at the ‘Riverside Corporate Park West Entrance’. Continue straight: From the intersection, this walk crosses Julius Ave and follows the footpath alongside Delhi Rd (on the other side of the road from Macquarie Park Cemetery). 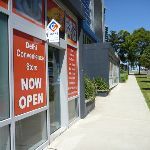 After about 60m, this footpath leads past ‘Delhi Convenience Store’ (open 7am-7pm M-F & 10am-4pm weekends Ph: 02 9889 8822) and continues (crossing a driveway with traffic lights) for about 200m to come to the entrance of ‘North Ryde’ train station. 4.5km of this walk has gentle hills with occasional steps and another 1.4km is flat with no steps. The remaining (1.3km) has short steep hills. 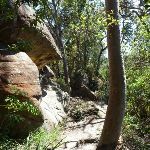 3.2km of this walk follows a clear and well formed track or trail and another 2.6km follows a formed track, with some branches and other obstacles. The remaining (1.5km) follows a smooth and hardened path. Around 4.6km of this walk is clearly signposted, whilst the remaining 2.6km has directional signs at most intersection. 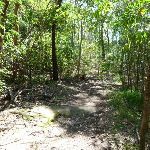 Around 7km of this walk requires no previous bushwalking experience, whilst the remaining 480m requires some bushwalking experience. This whole walk, 7km is not usually affected by severe weather events (that would unexpectedly impact safety and navigation). Around 6km of this walk is close to useful facilities (such as fenced cliffs and seats), whilst the remaining 1.4km has limited facilities (such as not all cliffs fenced). 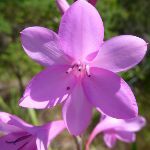 A list of walks that share part of the track with the Boronia Park to North Ryde walk. 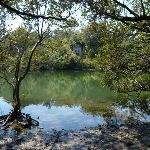 An enjoyable walk through lower sections of the Lane Cove National Park, this walk features plenty of mangroves next to the Lane Cove River, particularly in the section between Boronia Av and Buffalo Creek Reserve. 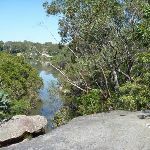 Sugarloaf Point is well worth going the 200m for as its a good spot for a rest (or lunch) with views of the river. The walk has a number of contrasts where you think you are a long way from the city, with the occasional stark reminder. 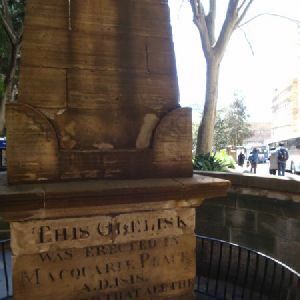 This overnight walk starts from the Obelisk in Macquarie Park, Sydney, at the official start of the Great North Walk. 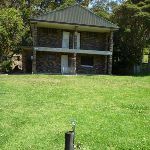 The walk soon boards the ferry from Circular Quay to Woolwich, and follows the Great North Walk through the streets of Hunters Hill and into the Lane Cove National Park. 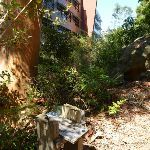 After staying the night in a caravan park here, the walk backtracks a little, then heads north, winding through the Lane Cove Valley, up to Thornleigh train station. 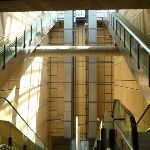 This fun walk covers a large section of the Great North Walk, starting from the official start in Circular Quay. 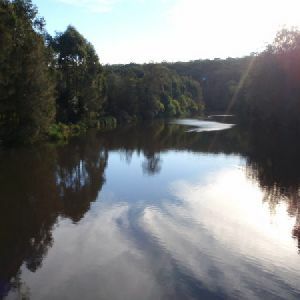 After a short ferry trip the walk follows the Lane Cove River through the Lane Cove National Park, to Thornleigh. 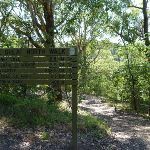 Here, the walk enters Berowra Valley National Park, continuing along the Great North Walk to before following the popular Blue Gum Walk up out of the valley, to Hornsby train station. 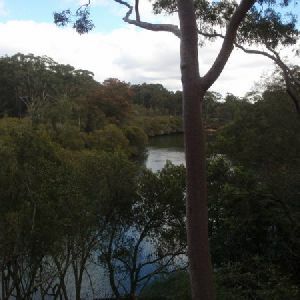 Camp overnight at Lane Cove tourist park and at the Scout camp in Thornleigh. 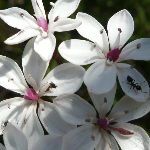 A list of walks that start near the Boronia Park to North Ryde walk. 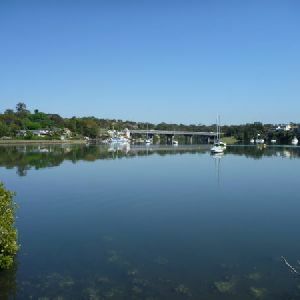 Going through the streets of Hunters Hill, this walk is on the first segment of the Great North Walk. 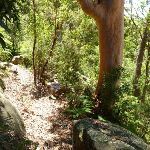 The majority of the walk is on roads and footpaths so you may not really consider it a bush walk. 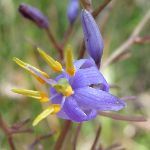 The track does pop into some pockets of nice bushland, but these are short, relative to the walking along the streets. 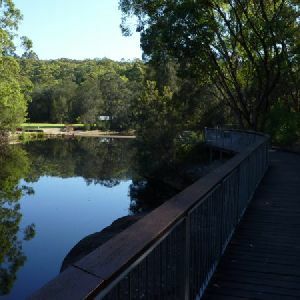 Starting from the Macquarie Park train station, you wander down Lane Cove Rd and over De Burghs Bridge to join the main spine of the Great North Walk in the Lane Cove Valley. 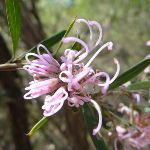 Here the walk heads under De Burghs bridge then explores the dry grass tree and eucalypt forest along the side of the ridge. 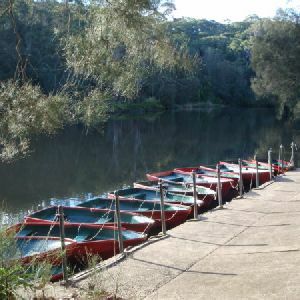 The track soon leads you down into the ferny and moist valley beside Lane Cove River. 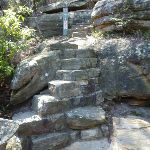 Near the top of the valley, you walk up some stone steps built during the depression to find some rock engravings with 1930’s style political satire, Conscript Pass. 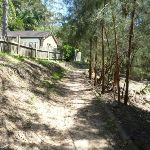 The side trip provides access to the scout campsite, where the main walk continues leads up through the streets to find Thornleigh train station. 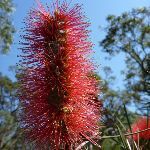 http://new.wildwalks.com/wildwalks_custom/includes/walk_fire_danger.php?walkid=nsw-lcnp-bptnr Each park may have its own fire ban, this rating is only valid for today and is based on information from the RFS Please check the RFS Website for more information.